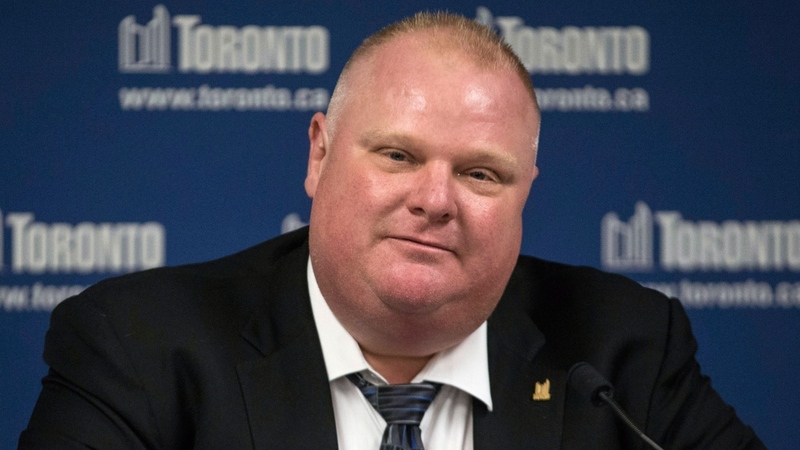 Toronto Mayor Rob Ford broke his silence Friday to say he does not use crack cocaine, a week after published reports alleged he was seen smoking from a glass pipe in a cellphone video. It’s been more than a week since reports of the alleged video first surfaced on U.S. website Gawker, and later in the Toronto Star. Both media outlets said they had viewed a video that appears to show the mayor smoking crack cocaine. The existence and content of the video has not been verified by CTV News. 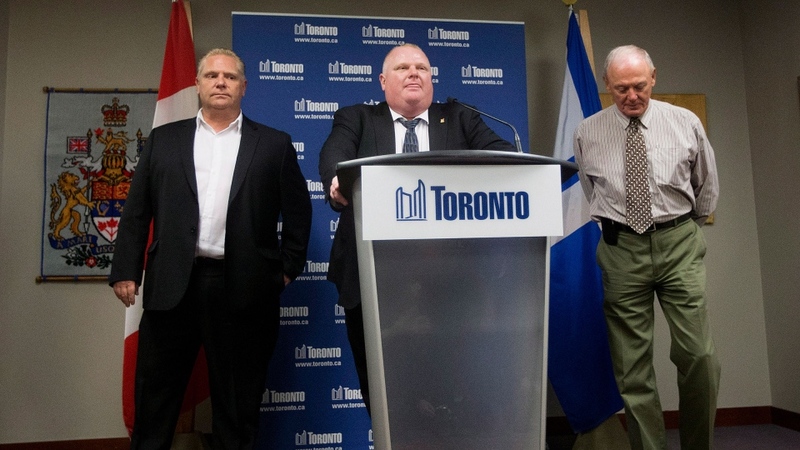 Last week, Ford called the allegations “ridiculous,” but said little else about the matter. “I cannot comment on a video that I have never seen or does not exist,” he said. Ford added that the intense media scrutiny during the past week has taken a toll on him and his family, and he thanked his supporters. The mayor also briefly addressed his dismissal from his duties as a volunteer high school football coach. The Toronto Catholic District School Board announced this week that Ford will no longer coach the Don Bosco Eagles, but stressed that the decision had nothing to do with the video allegations. 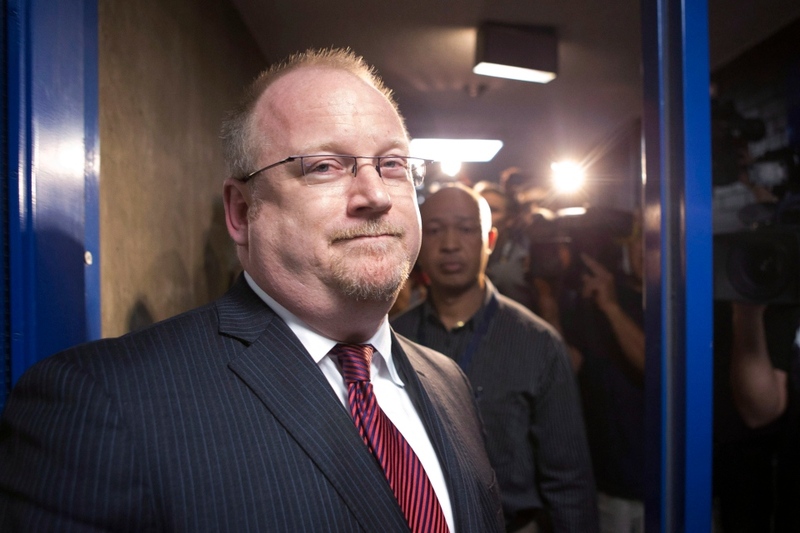 The school board said Ford was let go because he made disparaging remarks about the players and the school in a March media interview. The mayor said Friday he will continue to support the team and wished the young players success in the upcoming season. Following his statement, the mayor refused to take questions, but his brother, Coun. Doug Ford, agreed to answer a limited number of questions from the crush of reporters who gathered at city hall. “He does not have an addiction to crack cocaine and I think he was really clear on that,” Doug Ford said. Ford’s statement came shortly after members of his inner circle released a letter assuring residents that despite the controversy that’s surrounded the mayor over the last week, city business continues without interruption. 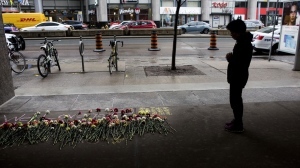 The open letter, signed by six members of Ford’s executive committee, urged the mayor to speak to the allegations as the controversy around the reports continued to intensify. Following Ford’s statement, executive committee member Jaye Robinson said while she’s pleased that Ford finally addressed the allegations, she is not sure if his response was forceful enough. Robinson, who was one of the signatories on the letter, said she’s uncertain if Ford’s statement will help quell the controversy. “What we do know is we’d like the disruptions at city hall to end." Deputy mayor Doug Holyday, who was personally thanked by Ford during his statement, said he doubts the heightened media attention directed at the mayor will subside anytime soon. “I don’t imagine the matter is going to go away,” he said shortly after Ford spoke. Executive committee member Peter Milczyn said he’s happy Ford finally broke his silence. Meanwhile, other councillors criticized Ford for not taking reporters’ questions and for being vague when addressing the allegations levied against him. Meanwhile, more details have emerged about the firing of the mayor’s chief of staff, Mark Towhey. Towhey, who was the third chief of staff to serve Mayor Ford since he took office, was fired Thursday after he reportedly urged Ford to “get help,” according a source quoted by multiple media reports. As Towhey was escorted out of city hall Thursday afternoon, he was asked what advice he had for Ford and replied his advice was confidential. Towhey said little else, but confirmed he was no longer in the position and had not resigned. In another development to the saga, a crowdfunding initiative to raise $200,000 to purchase the alleged video of Ford has hit a snag, after Gawker reported it has not been able to contact the seller since last Sunday. 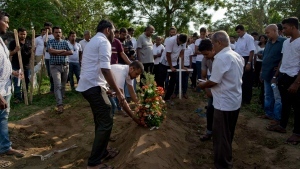 The fund had accumulated over $167,000 by Friday evening, with at least one donor pledging $10,000. 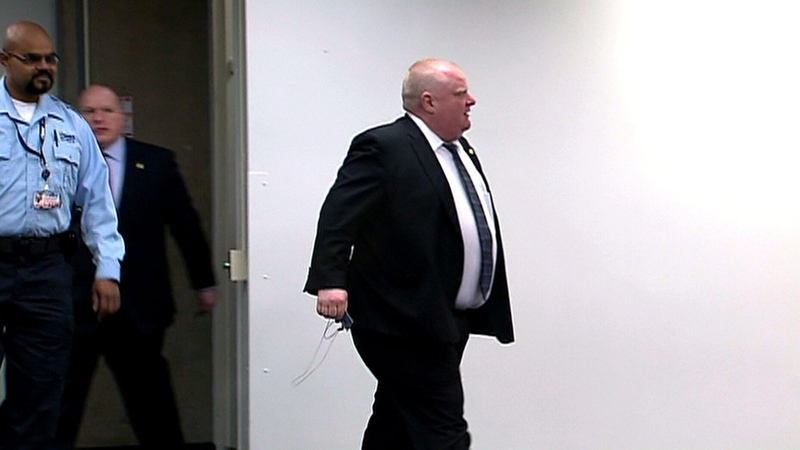 Toronto Mayor Rob Ford rushes past reporters at city hall in Toronto on Friday, May 24, 2013. 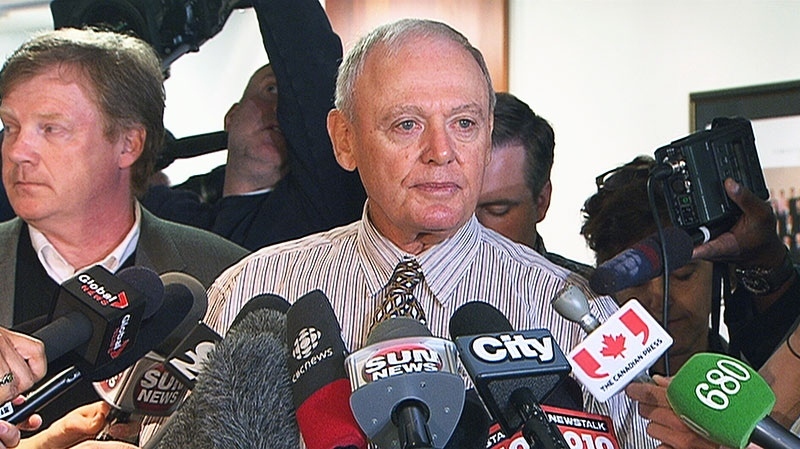 Toronto Deputy Mayor Doug Holyday addresses media at city hall, Friday, May 24, 2013.